State police from the Embreeville barracks said a rash of recent thefts and attempted thefts have plagued the area, and they are reminding residents to be vigilant, keep doors locked, and report any suspicious activity. A home in the 1000 block of Glen Hall Road in Newlin Township was burglarized sometime between 2 p.m. on Jan. 27 and 8:25 a.m. on Jan. 29, police said. Responding troopers found forced entry at the residence, where a 60-inch Panasonic television was stolen, police said. A victim’s screams apparently thwarted a burglary in the 1500 block of Embreeville Road in Newlin Township on Friday at 7:30 p.m., police said. A homeowner heard a banging noise followed by screams from another resident, police said, adding that the sheet-metal portion of the home’s screen door was partially removed. Two unlocked vehicles in the 600 block of Laurel Road in Newlin Township were targeted sometime between Jan. 31 at 8 p.m. and Feb. 1 at 5 a.m., police said, adding that $5 in change was taken from one of the vehicles. Police said six, separate thefts from unlocked vehicles occurred in Newlin and West Bradford Townships on Feb. 1 from 12:01 to 4:30 a.m. Police said the stolen items, which included a black, .45 caliber handgun, a deerskin leather brief case, camouflage hunting apparel, and Jim Maui sunglasses, totaled nearly $2,000. Anyone with information about any of the thefts is asked to call police at 484-340-3241. Police said Jacob Evans, 20, of Kennett Square, violated a protection-from-abuse order on Jan. 29 when he refused to leave an East Marlborough residence in the 1600 block of West Doe Run Road. Kimberly Ann Kenyon, 42, of Kennett Square, was arrested for driving under the influence on Saturday at 1:50 a.m., police said. Troopers observed her weaving on Rt. 52 in Pocopson Township and then failing to stop at a stop sign, police said. Police said a 25-year-old West Grove woman was following a car too closely on Jan. 31 when she became distracted and rear-ended it. Lindsey K. Drennen was cited for the two-vehicle crash, which occurred at 9:53 a.m. as Drennen was traveling east on West Street Road, west of Pocopson Road. The driver who was struck sustained minor injury, police said. 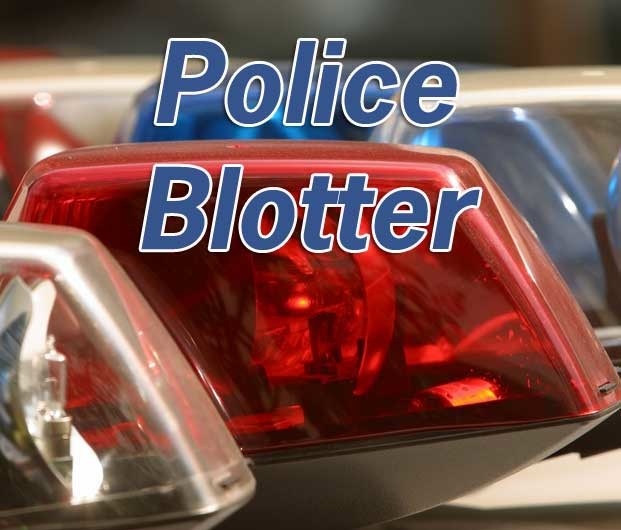 A 21-year-old Chadds Ford resident was cited for failing “to proceed with clearance through a lawfully posted stop sign” on Jan. 29 at 5:19 p.m. in Birmingham Township, police said. Jonathan Krapf was traveling westbound on Thornbury Road when he encroached into the path of a vehicle on Birmingham Road, police said. The driver’s side of Krapf’s 2004 Volkswagen collided with the front bumper of a 2008 Crown Victoria, an impact that spun the Volkswagen clockwise and forced it off the road; neither driver was injured, police said.